Clinical Nutrition and Metabolism is a quarterly, open access, peer-reviewed journal focusing original research articles, review articles, and clinical studies covering the broad and multidisciplinary field of human nutrition and metabolism. Clinical Nutrition and Metabolism focuses on human nutrition and metabolism and related areas, including experimental studies and basic science that can inform human nutrition science. CNM welcome manuscripts describing observational and intervention studies as well as basic science reports on the topics of foods, diets and dietary supplements, nutrigenomics and genetics related to metabolism, on energy metabolism, macro- and micronutrients including vitamins and minerals, biofunctional compounds, dietetics, obesity, clinical nutrition, social sciences and health economy as related to nutrition and metabolism and nutrition policy. Laboratory-based science may include descriptions of relevant experimental models. Copyright is retained by the authors and articles can be freely used and distributed by others. Articles are distributed under the terms of the Creative Commons Attribution License (http://creativecommons.org/licenses/by/4.0/), which permits unrestricted use, distribution, and reproduction in any medium, provided the original work, first published by CNM, is properly cited. 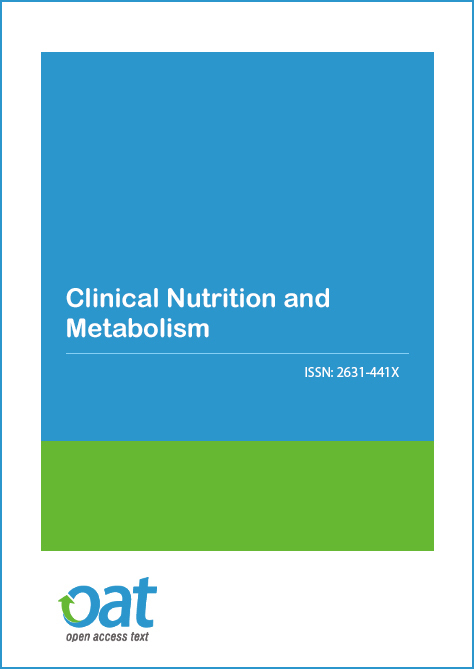 Clinical Nutrition and Metabolism is an Open Access journal and we do not charge the end user when accessing a manuscript or any article. This allows the scientific community to view, download, distribution of an article in any medium, provided that the original work is properly cited, under the term of "Creative Commons Attribution License". In line with other open access journals we provide a flat fee submission structure on the acceptance of a peer-reviewed article which covers in part the entirety of the publication pathway (the article processing charge). The process includes our maintenance, submission and peer review systems and international editing, publication and submission to global indexing and tracking organisations and archiving to allow instant access to the whole article and associated supplementary documents. We also have to ensure enough investment to secure a sustainable model which ethically, legally and financially stable. The publication charges for Clinical Nutrition and Metabolism are GBP 1290.